This year we are paving the way for innovative print offerings. Each gallery is custom made with the images from your family portrait session. 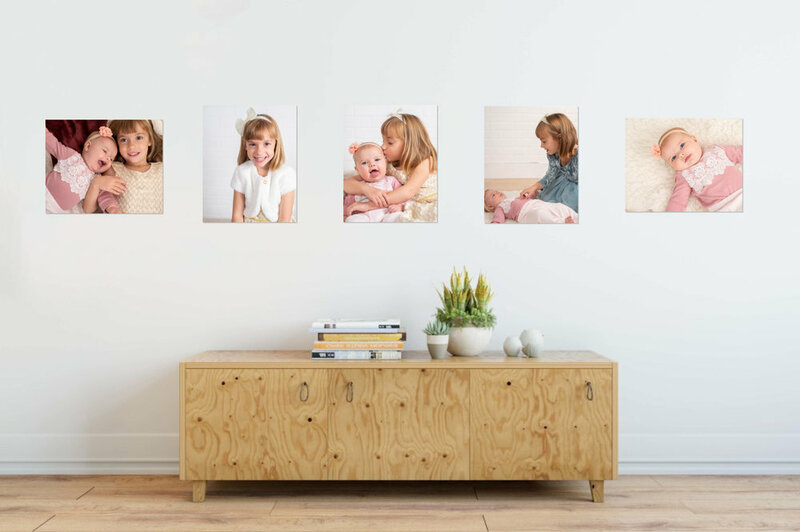 These galleries will make it much easier to visualize prints in your space and help decide what sizes work for you. Can use stock photos of living spaces or images from your actual home and create a gallery tailored just to your style! A wide number of print sizes and layouts are available to fit your needs. For full service print ordering: email Rosemary@katiering.com to set-up a time to chat and order by phone. A 5x7 print can fill a 5x7 frame or an 8x10 frame with mat cut to 5x7. A 8x10 print can fit in an 8x10 frame or an 11x14 frame with mat cut to 8x10. A 11x14 print can fit in a 11x14 frame or a 16x20 frame with mat cut to 11x14. My studio manager, Rosemary, and I decided it would be helpful to see an 8x10 and 11x14 print to scale up on a gallery wall so we made a quick video. What do you think? Helpful? Saturday December 8th Katie (of CeceAnn.com) and Jill (of MetroPetsNatick.com) are are teaming up for parents of fur babies and humans alike for last-chance holiday card portrait sessions. Both humans and dogs will be given treat rewards for good behavior! Yes, photos will be ready in time for you to mail holiday cards. What you get: Katie & Jill who know all the tricks to get kids and dogs alike to smile. Human Families: $200 sitting fee that includes a gallery of images to choose from and your favorite photo as a digital download. Katie and Jill love being part of the local community. We’re both Natick Center businesses and members of the Natick Center Cultural District. *Well behaved dogs train easily but because all pets are different Jill & Katie cannot guarantee specific results. Changes of good pet behavior increase when you have you dog groomed with Jill prior to the session when you’ll get extra training. 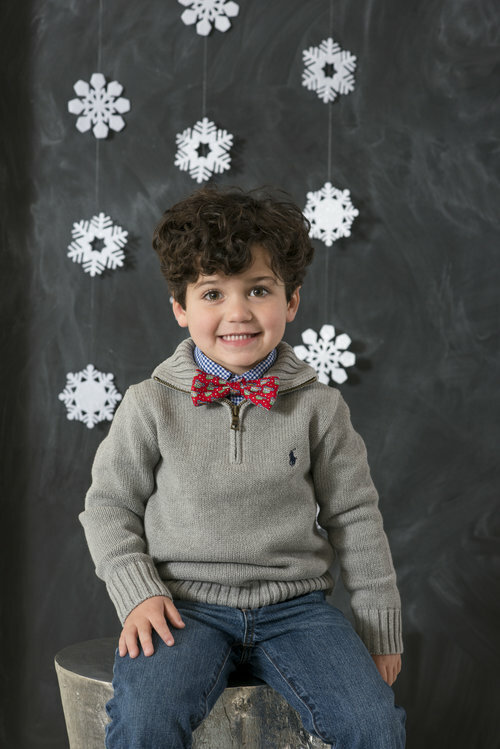 Have you booked your family's annual portrait session? Holiday card season is just around the corner! Our fall mini sessions are starting to fill up and we'd love to include your family. Where? Cochituate State Park. We will use beautiful Lake Cochituate and the fall foliage as our backdrop! What? 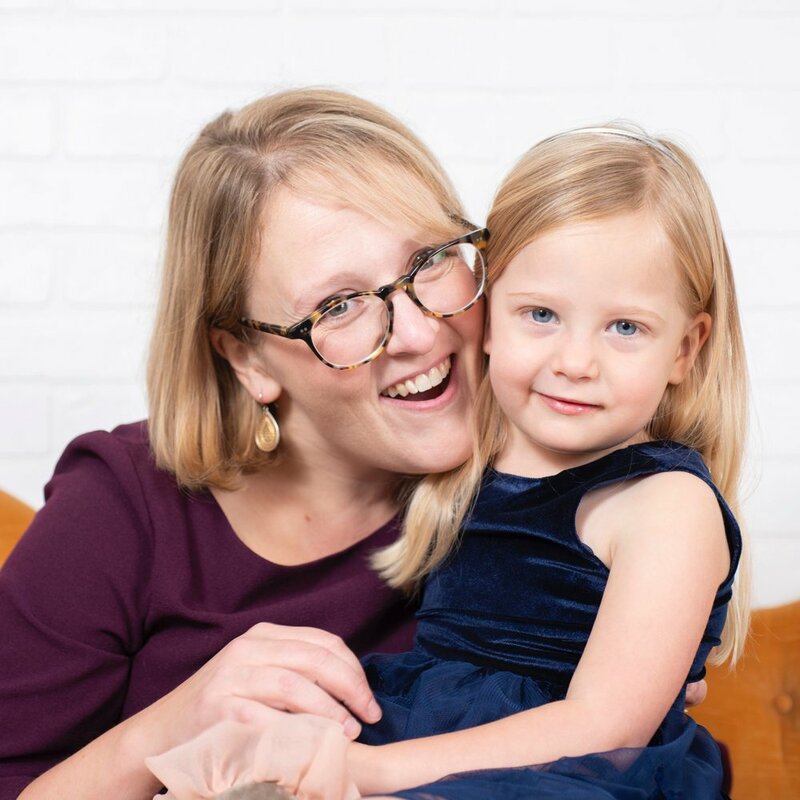 Our mini sessions are 15 minute photo shoots booked back-to-back with other families and our sitting fee is $150 with prints and digitals a la cart. Full hour photo sessions are also available at a location of your choice. 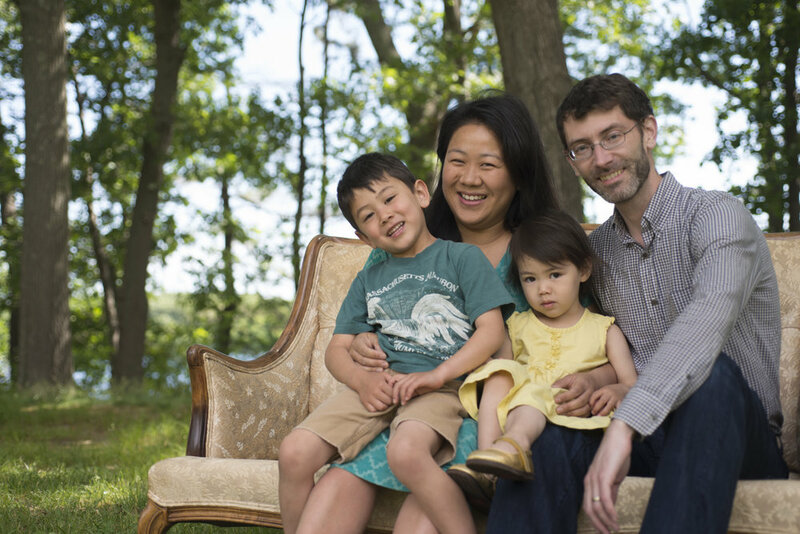 Check out some examples from last year’s mini sessions at Cochituate State Park. Shoot me an email (hello@katiering.com) or contact my studio manager Rosemary (rosemary@katiering.com) to reserve your session. 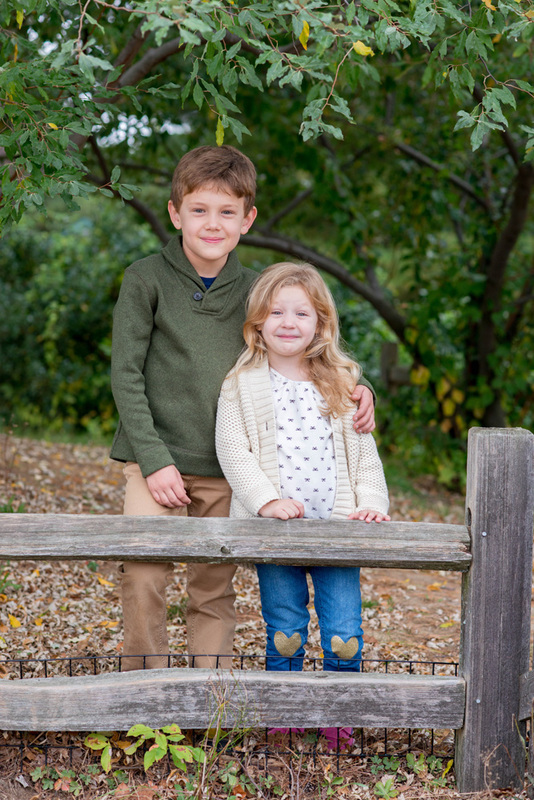 We'd love to photograph your family this fall! Did you make the most of your summer? It’s not too late to squeeze in a summery family portrait session! My summer has come full circle. I kicked off with these fun family sessions at Farm Pond and it turns out I’m going to spend this end of summer weekend back at Farm Pond! I’m shooting an extra special holiday family session for long-time clients. Want to join in on the picnic? If you around this Labor Day and looking to take family photos while there is still some summer sunshine let’s connect. Since I’ll be there anyway I’m going to open up just 2 more (full or mini) portrait sessions on Monday 9/3. Join me before everyone has lost their golden summer glow! I will have my traveling love seat as it’s one of my favorite props! This is a great opportunity to get images for your holiday cards done early. Email me at hello@katiering.com to reserve your spot! Are you booked up with Labor Day weekend barbecues? Give me a shout to schedule for another time soon. I will also be offering mini sessions the weekend of October 13th at Cochituate State Park in Framingham. Email my studio manager (Rosemay@katiering.com) to snag a spot!